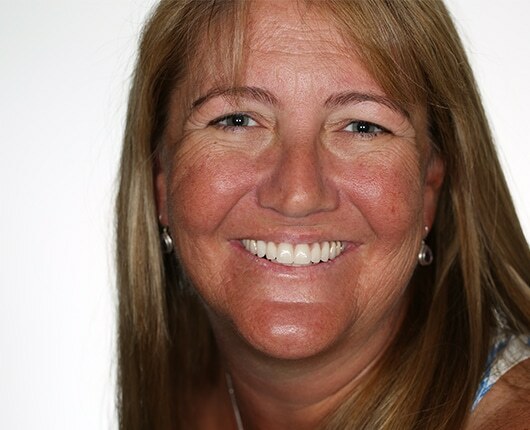 Beata has been the face of Dental 359 for many years. Over ten years ago Beata presented with cosmetic issues. She was mostly concerned about the shape and colour of her front teeth. 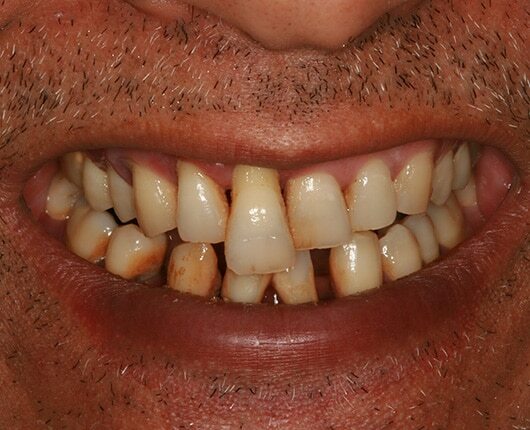 Many years of patch-up dentistry had led to decayed, uncomfortable and worn down teeth. 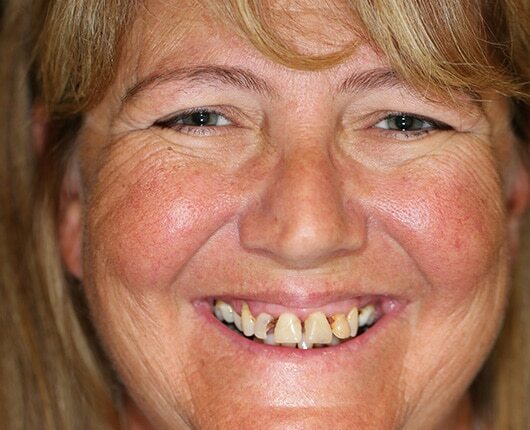 Beata had put up with short worn teeth for years thinking nothing could be done. She approached Dr. Golestani hoping that he had a solution. 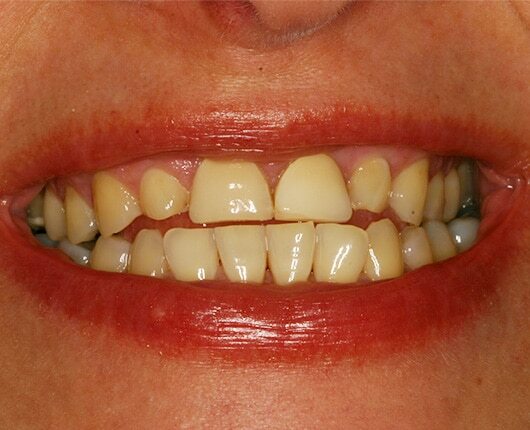 Dr Golestani initially removed decay and returned Beata’s teeth and gums to good health. 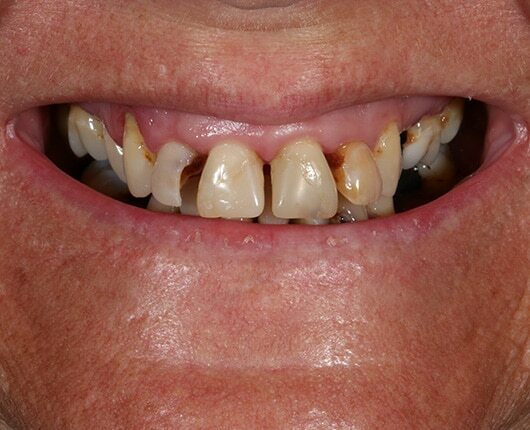 Using crown lengthening techniques and modern ceramics she had her smile rejuvenated. 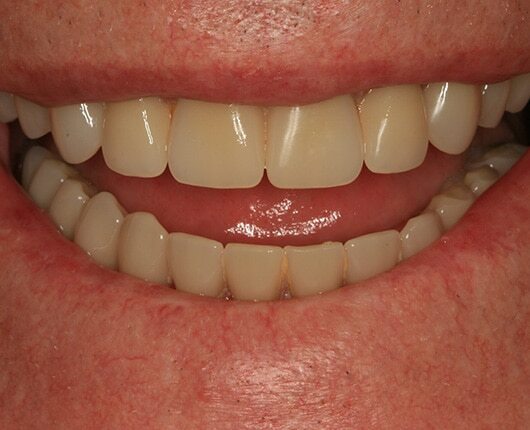 The teeth were covered with brand new all ceramic crowns. 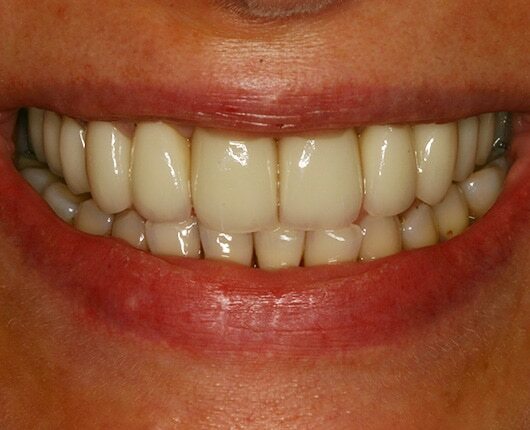 The colour and shade were chosen by Beata to create a youthful smile. 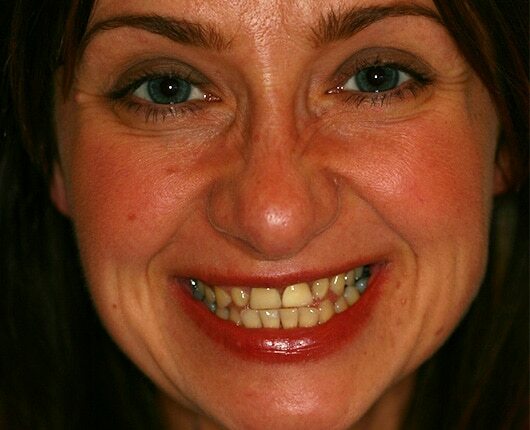 Beata has maintained her smile makeover by coming back for regular 6 monthly visits with our hygienist. She has not missed one maintenance appointment and as a result we have been able to look after her investment. After almost 12 years Beata is still ecstatic about her smile! Bob presented with loose, decayed, worn down teeth. He had gum disease and bone loss. Bobs teeth were so badly broken down that he could not chew his food. His speech was also affected. And the condition of his teeth was causing him embarrassment amongst his friends. His ability to eat and smile were severely compromised. 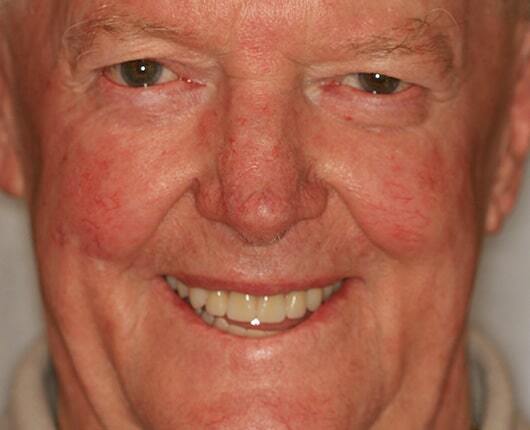 Bob had a full upper and lower immediate All-on-4® rehabilitation with alveolectomy and aesthetic gum replacement. Dr. Golestani and the Malo Team completed his case under general anaesthetic in 3 days. Bob told Dr Golestani that he had never enjoyed having a steak as much as he does since treatment. He had forgotten what it was like to be able to chew food properly. It goes without saying that he does not feel embarrassed about his teeth anymore. As you can see from his after photo, he has a healthy glow and is now able to eat his favourite steak! 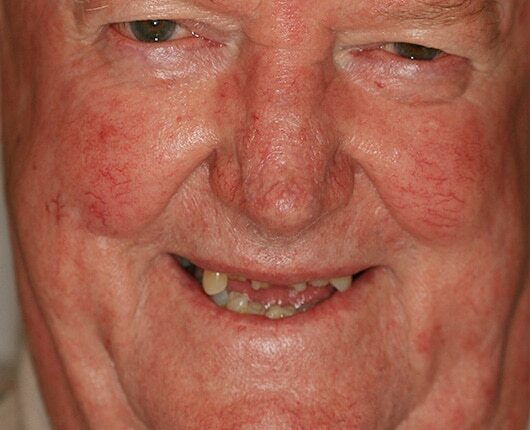 Darryl presented with missing teeth, decay and gum disease. His teeth were so loose that he found it hard to eat. He hardly smiled and was embarrassed about the state of his teeth. He only came in at the insistence of his wife Jo who made the appointment on his behalf. Darryl admits he neglected his teeth and didn’t prioritise treatment. He was far too busy. Darryl was extremely nervous about treatment. He was perhaps the most anxious patient to date. 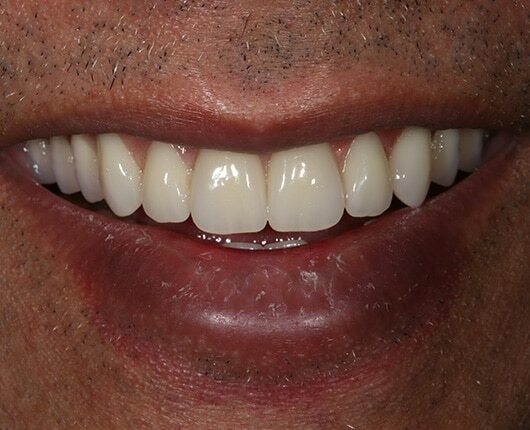 Dr Golestani and the Malo Team removed the infected teeth and replaced with full upper and lower immediate All-on-4® rehabilitation with alveolectomy and aesthetic gum replacement. Darryl’s surgery was done under general anaesthetic. His treatment was complete in 3 days. After treatment Darryl was thrilled. His only regret was that he didn’t do it sooner. He has a confidence that he never had before. Jo and Darryl are happier than ever and enjoying life to the fullest. Jodi was a 42 year old woman at the time of treatment. 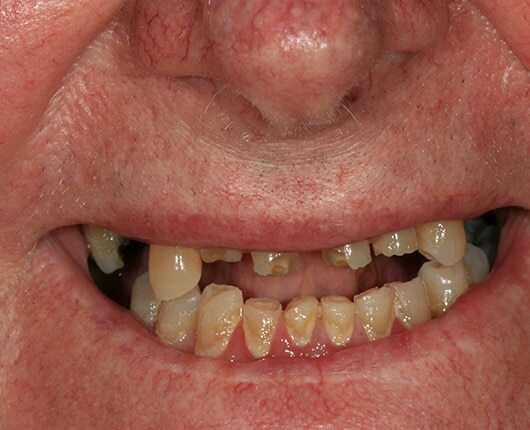 She presented with advanced periodontitis, tooth decay, bone loss and missing teeth. Having attended one of our seminars she was very keen for treatment and insisted on next available list. Jodi knew what she wanted from the beginning. She was lacking confidence and her health and her ability to eat and smile was compromised. Jodi knew this treatment would significantly improve her situation. 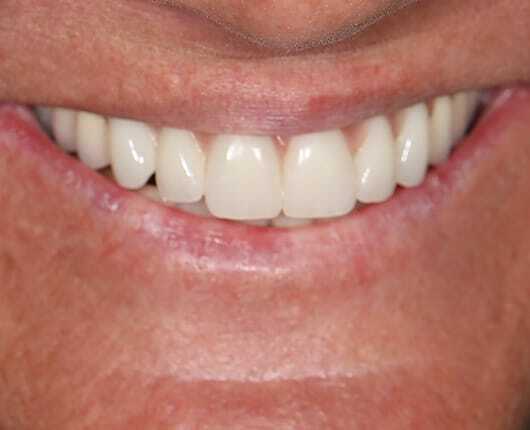 She had a full upper and lower immediate All-on-4® rehabilitation with alveolectomy and aesthetic gum replacement. Under the care of Dr Golestani and the Malo Team with general anaesthetic her case was completed in 3 days. Jodi always wanted to audition for The Survivor yet lacked the confidence to do so. Since having the All-on-4® treatment she has submitted an application to appear on The Survivor! 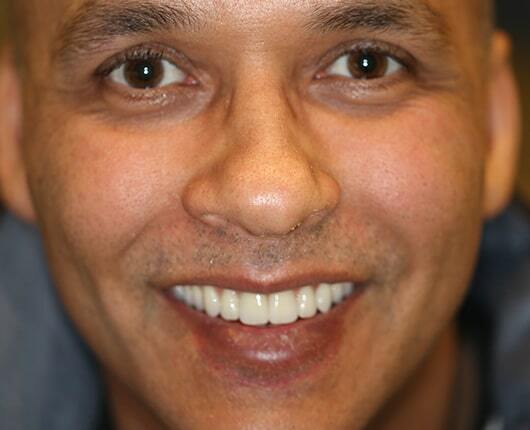 Transforming your smile can be a life changing experience. 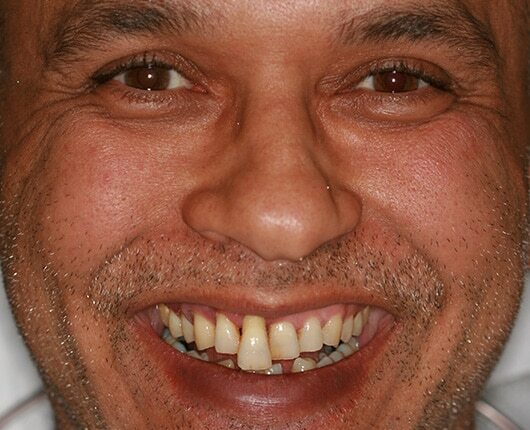 Smile Makeovers or Cosmetic Dentistry is very much about appearance of your teeth but more importantly about restoring and improving health and integrity of the patient’s dentition. To achieve this, at Dental 359 Malo Clinic, we pay close attention to every detail, from the initial patient consultation through to treatment planning, treatment and follow-up care.